When four of Sabaton's six members suddenly deserted the band in 2012, the metal community reeled in shock, given the musicians were enjoying the height of their popularity. 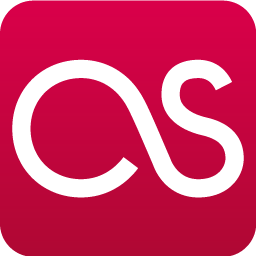 Speculation about the split appeared almost instantly across cyberspace's most prolific metal message boards, and yet not one claim supported the turn of events with reasonably placed evidence--a surefire sign that fans were jumping to hasty conclusions. 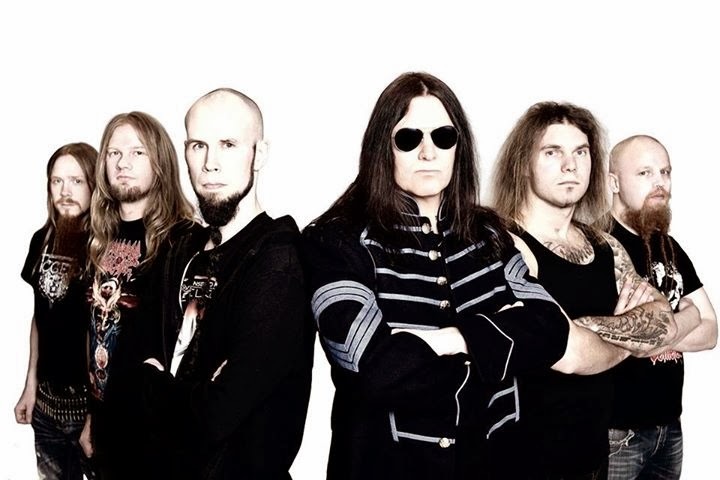 The break remains a mystery even today, but in this particular instance, the good far outweighed the bad, and a new project called Civil War emerged from the fiery clash Sabaton produced only months before. 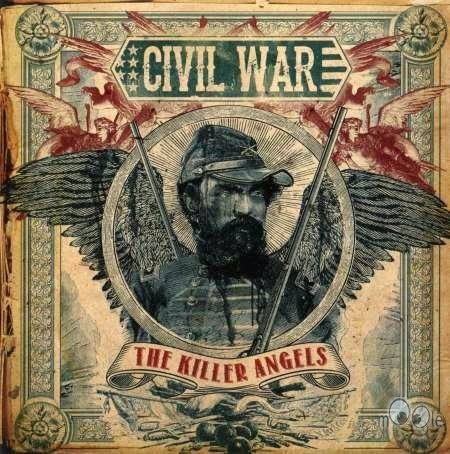 A troubled story told through music, Civil War's debut album, The Killer Angels, touches upon what is perhaps the United States' most iconic internal conflict: the civil war. Historically, Europeans dabble in their respective pasts, while Americans do very much the same, but these Swedes' effort proves otherwise and is an excellent stab at painting a vivid picture of the Yanks' quest to become a country built on shared ideals. The record serves as a reminder that, although not particularly special musically, innovation is still possible in the metal world, and lyrics are often all it takes to accomplish the task. Debut albums like The Killer Angels normally foreshadow a bumpy road ahead, filled with hardship and a struggle to get feet off the ground. Tightening up the sound, becoming one with other band members, and improving songwriting skills is typically at the crux of the matter, but thanks to experience with Sabaton, Civil War is more or less already a veteran act. Their ability to seamlessly link melody after melody, incorporate fluid synth with heavy guitar, and knack for writing emotionally uplifting music is remarkable and bests even a reformed Sabaton's recent release, Carolus Rex. But the past isn't discarded that easily. Firmly rooted in prior [Sabaton] efforts, Civil War's mindset is virtually unchanged and shows nothing was lost during the personnel exchange with Sabaton. "I Will Rule the Universe," for example, is unmistakably Sabaton, with a smattering of synth and an infectious singalong chorus, but the rhythmic stomp of the drums and guitar is where the similarities start and predictably fail to end. In short, little can be said to refute the two acts' similarities, but one minor difference surfaces with listening: raspy, almost Dio-like vocals. Compared with Sabaton, who assume a more traditional power metal role, Civil War experiments ever slightly and offers a twist on the sound they hold so dearly. "First to Fight," "Sons of Avalon," and "Gettysburg" lead the charge, but the whole album is a blast, as a compelling proposition for fans yearning for the Sabaton of old. The verdict is simple; think of Civil War and The Killer Angels as Sabaton 2.0, because, with any other expectations, you'll likely leave disappointed. The record performs its intended task admirably well, and with a group of seasoned musicians calling the band home, as well as holding strong lyrical content, the first listen is destined to be something great. Like other releases this year, notably Death Angel's The Dream Calls for Blood, The Killer Angels isn't 100% perfect but, boy, is it fun. I have to admit I don't know Sabaton and, of course, haven't yet heard Civil War but this immediately brings to mind Iced Earth's The Glorious Burden and I was wondering if you were a fan - they're a band I always loved and that was one of my favorites of all their projects. Funny you mention that record--I actually have it on vinyl. Owens, for me, is the superior vocalist in Iced Earth, but not necessarily the best. Barlow definitely has his place in the band, and by far has the most unique voice. I just prefer Owen's range and tone. I can't say I like the majority of Iced Earth's records, though. The first three are good, as are Horror Show, The Glorious Burden, and the Overture of the Wicked EP, but I don't care for anything else. Iced Earth has a new one coming in January. The cover looks cool, but the song they've revealed sounds safe and boring. Of course, I might have to eat my words. But I always love to watch Schaffer riff. They're a guilty pleasure, to be sure, but I admire Schaffer's dedication to his vision (as weird as it may get). I was always a fan of Owens' voice but prefer Barlow in that band - just seems like Owens never quite fits anywhere. That said, Glorious Burden is, hands down, my favorite of all their work aside from the Alive in Athens live set. I was unmoved by Civil War, I'd like to say its just the vocalist that is preventing me from enjoying it but really, Joakim Broden of Sabaton is one of the finest songwriters in metal and the driving force behind Sabaton ---- when these guys split away from Joakim and Par, they had to take up the songwriting mantle themselves, and with this album anyway my thought is that they either should've brought in a vocalist who could contribute to vocal melody writing, or was a talented songwriter himself. They didn't and well, its apparent. I actually somewhat agree--it's just that I like Civil War's album much more than Sabaton's latest effort. It took quite a few listens for Civil War to click, I can't deny that. The vocals are a unique flavor--for me, anyway--that I hope to hear more of.